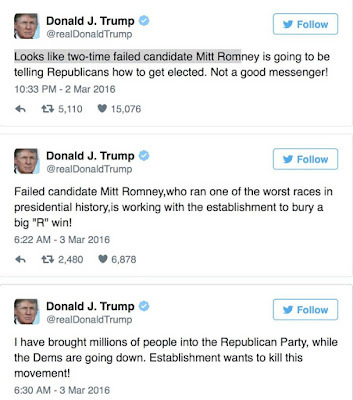 Romney (Bitter Cruzinger - GOPe) came out of his hole to criticize Trump today. His speech was over-shadowed by Trump's Healthcare plan announcement. If it is 'anybody but Trump' with the GOPe, then I've been correct all along (and Rush Limbaugh has been wrong this entire time): Cruz is the shadow establishment candidate. ". . . 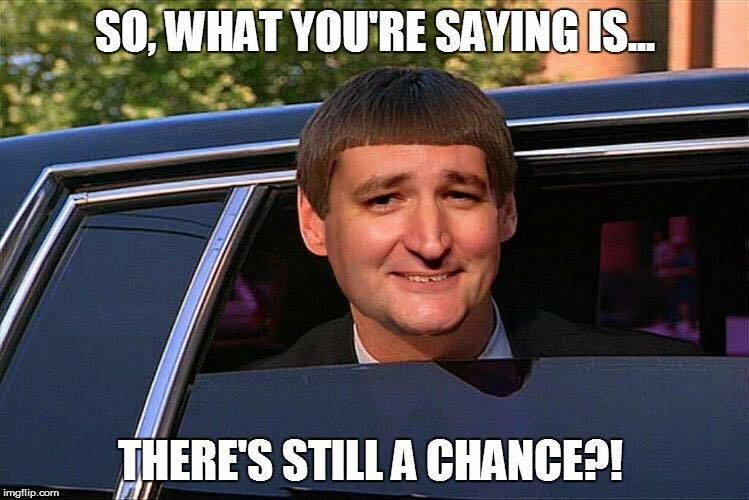 Team Cruz has shown new evidence of being much further aligned with the GOPe than most political observers, and high-information voters, might be willing to accept." 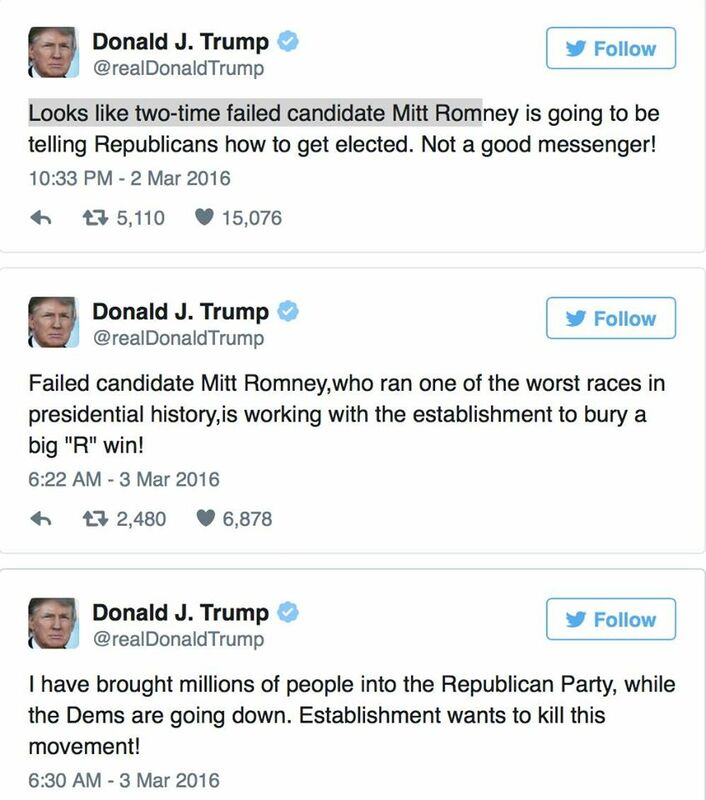 Trump, true to form, pre-empted Romney's speech with some zingers. I hate the mud-slinging, but it is wonderful to see a Republican stand up for himself. And it seems shallow, but I can get used to the idea that critics will think twice before shooting from the hip with empty attacks. Images pulled from FB posts today. 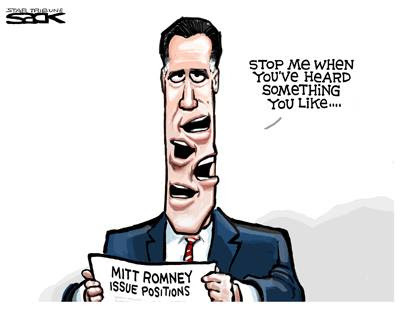 Full disclosure: I voted for Romney in the CA primary in 2008, as he was the most conservative of the choices. And I voted for Romney in the 2012 general election because I'm loyal to the GOP. 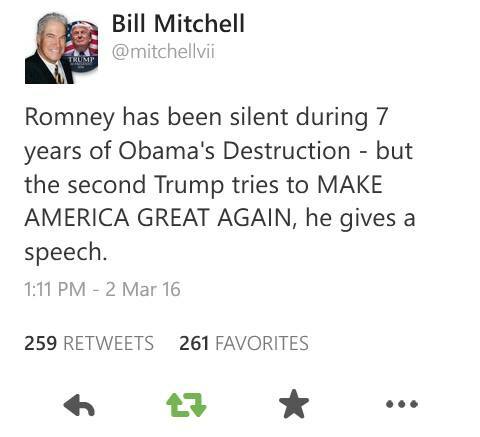 I could never vote for Romney. 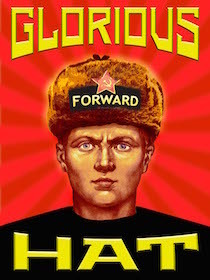 Since GOP never lived up to any of its promises, not worth voting for most of the time. An interesting article from former Reagan administration and Republican congressman and financial person.